Generally most people worry about Lead being in their homes, but for some, the workplace may have the greatest exposure risk. Today, Lead is used in many industries, including construction, mining and manufacturing. In these industries, workers are at risk of being exposed to lead by form of inhalation, ingesting or physical contact with Lead. Only high levels of Lead exposure in a short period of time is dangerous. Breathing in Lead fumes or Lead dust – heating or soldering metal produces Lead fumes. Sanding paint or removing it with a heat gun produces Lead fumes. Both Lead fumes and dust are odorless so you may not know you are being exposed until it is too late. Ingesting Lead dust – taking your lunch break and eating around areas where Lead is being processed or stored is not recommended. Lead dust can, and will, settle on food, water, clothes and other objects. Be wary about eating food without washing your hands after working around Lead. Sometimes Lead will leave a metallic taste in your mouth, though it is not always the case. Contact with Lead dust – Studies have shown that Lead can be absorbed through the skin and touching your eyes, mouth or nose after handling Lead, can lead to exposure. Since Lead sticks to your hair and clothes, it is possible to transport it home and expose others. If you have been exposed to high levels of Lead in a short period of time, you might develop the following symptoms. Abdominal pain, constipation, excessive tiredness, headaches, loss of appetite, memory loss, pain or tingling in the hands and feet, anemia, weakness, kidney, brain damage, heart disease, reduced fertility and even death. 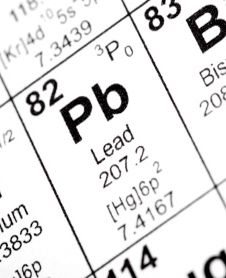 If you have been working with or near Lead, chances are, you have been somewhat exposed to it. Follow these tips for protecting yourself against Lead poisoning. Wear proper Personal Protective Clothing (PPE), such as coveralls, goggles, gloves and boots to prevent physical contact with Lead. Wear a protective respirator when working around Lead dust and fumes. Eat/drink in areas where Lead-containing products are not being handled or stored. Shower and change your clothes immediately after working with Lead-based products. Throughout the years, Lead has be significantly reduced in products such as paints, ceramics, caulk, pipe solder and many others in an attempt to reduce health problems associated with Lead poisoning. If you think you have been exposed to high levels of Lead, consult your doctor immediately.